Dartford Judo Club is the first purpose-built, state-of-the-art world class Judo facility in the UK, it provides a full programme of Judo classes for children from as young as five right through to adults, catering for players of all standards. It was the home of the British Judo Performance Institute in preparation for the London 2012 Olympics, and the official training venue for foreign teams in the lead up to the Olympics and Paralympics games. It continues to be the base training facility for the British VI Judo Programme. Dartford Judo Club is very proud of all of its facilities, none more so than our purpose build conference centre. Relatively small in size, it holds up to 80 people in a theatre style setup. The conference room is modern, light and spacious, with a comfortable lounge area to hold meetings or to relax. Tea and coffee is available, with a number of lunch options to choose from, as well as plenty of off road parking. There really is no reason to hold your Company’s conference anywhere else. Dartford Judo Club is home to many martial arts and can cater for many different events with two spring loaded mats, a 180-capacity viewing gallery, separate lounge and reception area and plenty of off-road parking. 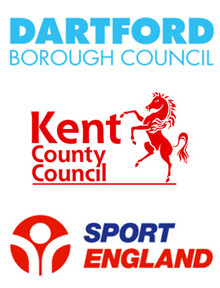 Dartford Judo Club can host exhibitions and competitions for countless sports at any time of the week. Get the latest news sent straight to your inbox - just enter your email address below!